Education: B.S.2004, Oklahoma State University: Agricultural Economics; J.D. 2007, University of Oklahoma; LL.M. 2009, University of Arkansas: Agricultural Law; M.S. 2012, University of Arkansas: Agricultural Economics. Paul Goeringer has conducted research with a focus in multiple aspects of agriculture. These include areas such as environmental compliance and federal farm program compliance, contracting, recreational use, and agritourism matters, and right-to-farm as well as agricultural leasing laws. Paul Goeringer is a member of the American Agricultural Law Association, the Oklahoma Bar Association, the Southern Agricultural Economics Association, and the Agricultural and Applied Economics Association. 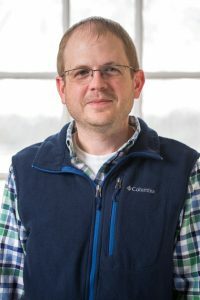 Goeringer has received the Non-Tenure-Track Faculty Award from the College of Agriculture and Natural Resources in 2015, the AGNR Alumni Excellence in Extension Award in 2016, and the Annual Achievement Award from the National Association of County Agricultural Agents due to his exceptional service. Goeringer is a leader of the Agricultural Law Education Initiative and has written over 100 informative articles relating to important legal matters for the agricultural community in Maryland.